Between Friday and Saturday, I went to Luxemburg, France, Belgium, and the Netherlands. I almost didn’t come back thanks to French drivers. Ok, I might be an entitled American tourist, but I come from a country that at least respects the sanctity of the human pedestrian. Let me break it down further; American drivers respect human life. Of course the van can fit. We cheered him on. 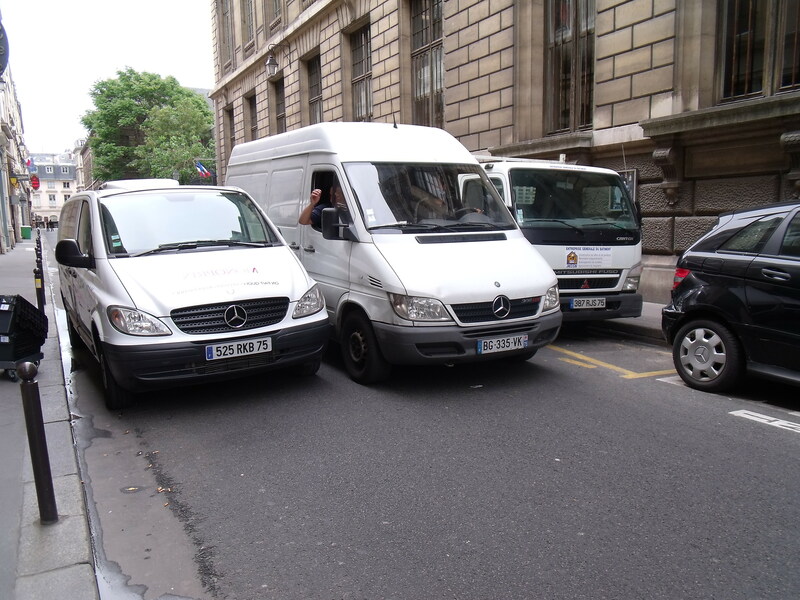 French drivers don’t appreciate pedestrians and act as if they don’t see pedestrians. More often than not, I felt the wind of some car that decided to blow past me as I attempted to cross the street. First it startled me; then it pissed me off. If the green walking man is shining brightly upon me, I dare you to run me over. So instead of cowering in fear at the reckless cars, I just started walking across streets as if I owned them. It was the only way to get across. I boldly stepped out as if I didn’t see the cars coming towards me. They didn’t slow. And I didn’t stop. It was a high-stakes (stupid) game of who would blink first. And I won. At the last possible second, while I imagined a horrible death in the exotic city of Paris, the cars would suddenly stop; and then I would smile with sarcastic appreciation for their thoughtfulness. But I can forgive the French for nearly ending my vacation prematurely, because of the amazing crepes. Let me repeat, Café Breizh helped me find forgiveness. They served me unforgettable delicacies. The café didn’t open until late in the morning, but it was definitely worth the wait. I had two orders of crepes. The first order was buckwheat crepes with eggs, mushrooms, and a fancy cheese. The second order was, again, buckwheat crepes, this time soaked with French butter and heavily sprinkled with sugar. It was a moment of taste bud heaven. 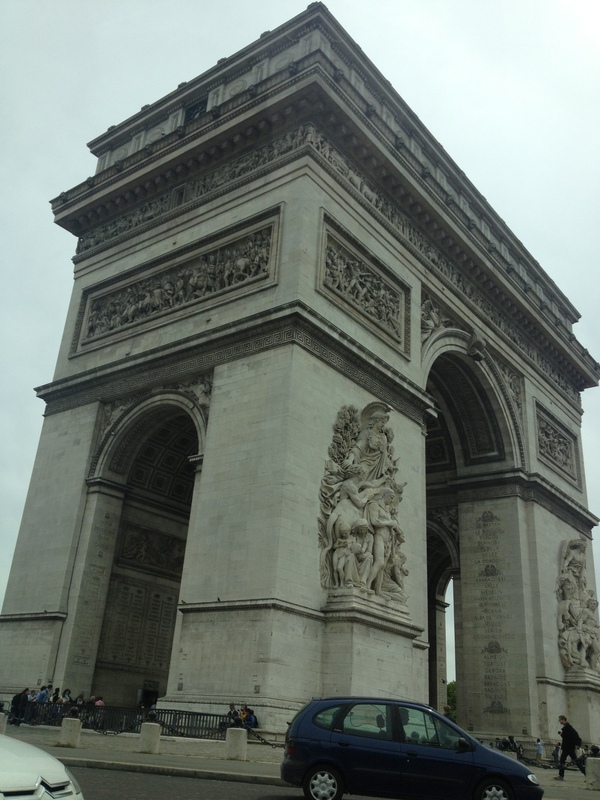 The Eiffel Tower, the Louvre, and the Arch of Triumph were incredible buildings. It was hard to believe that these colossal yet detailed structures were built hundreds of years ago. As I sauntered lost down some narrow alleyway, all I could think of was the Three Musketeers and their amazing feats. I looked up at the Arc de Triomphe and remembered the picture of the Paris liberation in 1944. 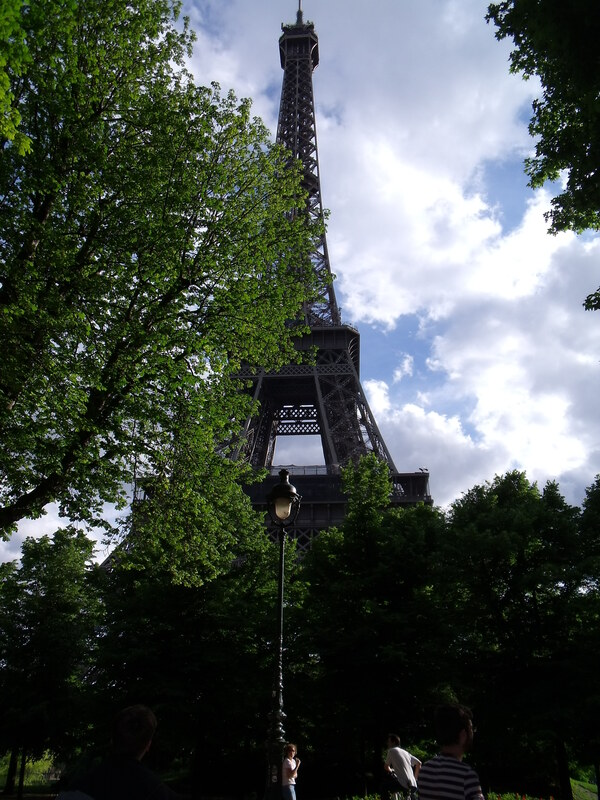 When I stood beneath the Eiffel Tower, I remembered my friend who told me she wanted to see Paris and had a “super cheesy idea” of getting a kiss beneath the tower. The panoramic view from the tower was mind-boggling. 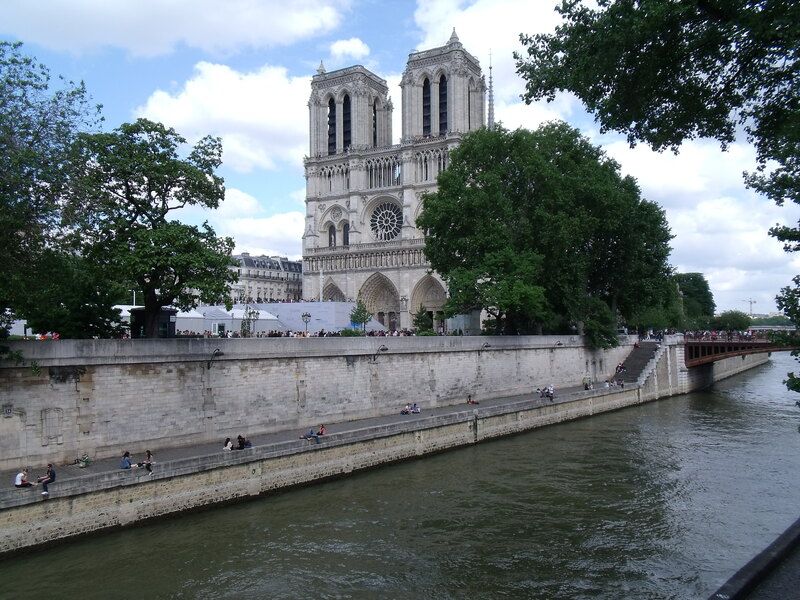 The river down below snaked through the heart of Paris with old stone bridges stretched across it. In some ways, Paris was also bipolar. It was a grimy city. Our hotel looked nothing like its beautiful website. The hotel stood across from a park and the train station, so we thought we had found an ideal location. The park was full of drug deals; my room had holes in the wall, and a bathtub/shower that leaked water everywhere. The people were typically rude. When we asked for directions to the train station, we got looked over once and then received a brusque “no”. The waiter at the restaurant where we had dinner was skilled at being rude. If I am going to pay you 5 euros for a small soft drink, do not ignore me for half an hour only to bring me my tab and then make me pay for my drinks before you’ll take my order. I watched in silence as a tourist chased two boys who had apparently stolen his wallet. The boys knew the tourist could not catch them so they gleefully kept just out of his reach – slowing as he tired and then running as he angrily would speed up. If you only listened to their cheerful laughing, you’d think some kids were enjoying a fun game, but it wasn’t a game to the tourist. Maybe I just was grumpy from walking. I never imagined the amount of walking I would have to do. It wouldn’t be so bad if there weren’t so many stairs or hills. Then too, if I was in shape – ah never mind; I’d rather not think about the gym while I’m on vacation. But let me tell you that my legs curse me every time I take a wrong turn or have to chase a train. On the bright side, at least I have some sort of exercise to counteract all the amazing food I’ve been eating. I’m happy with what I saw in Paris, but I don’t really think I’d go back. For me, it was all about seeing the landmarks and grabbing crepes. And now I am content – mission accomplished.